Canada Pump and Power is a distributor for Multiquip generator and light tower products. Respected worldwide for their unsurpassed reliability, efficiency, and ultra-quiet performance. 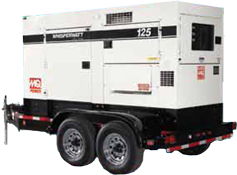 Multiquip is unmatched with a first-class line of generators fit for every application. MQ Power is the brand you can rely on when you need dependable power. With 19 different models from 7kW single phase up to 800kVA three phase there’s a model in the WhisperWatt Super-Silent line that will fit your needs. 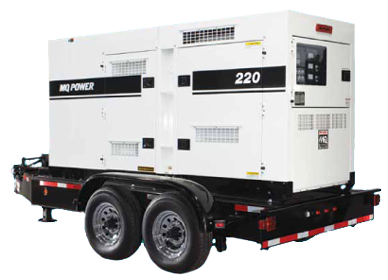 Generators come fully equipped with just about every control and convenience feature imaginable. Providing reliable power to meet the most demanding requirements. They are designed and built to withstand tough environments at construction sites and provide dependable temporary power at entertainment venues and disaster recovery operations. MQ Power Ultra-Silent Generators give you the reliability of our WhisperWatt Super-Silent Generators while achieving sound levels that are 11 percent quieter. And to safeguard the environment, each WhisperWatt Ultra-Silent Generator features an integrated 24-hour fuel tank with a fluid containment system. Their dependability and quiet operation make for great sources of portable power in the construction and entertainment industries With 8 models available from 25 kVA single phase to 150 kVA three phase there’s sure to be a model in our line up that is perfect for your application.